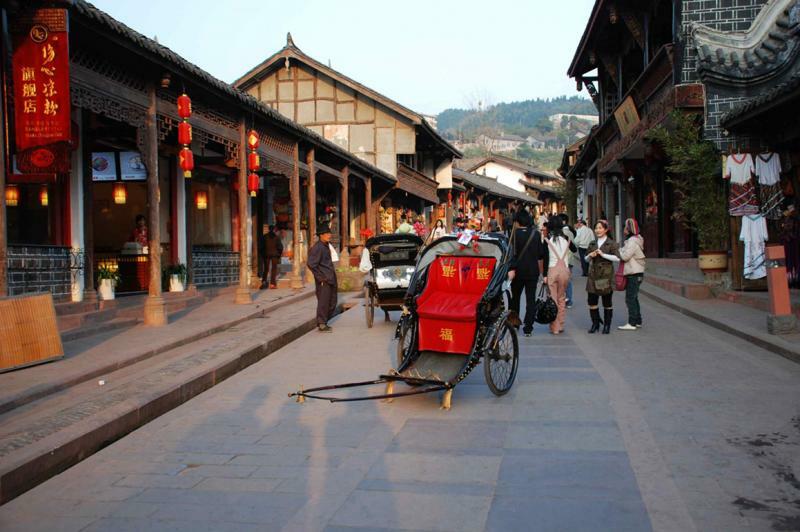 Located approximately 20 km (12.4 miles) east of Chengdu city center, one of the many old towns around Chengdu, Sichuan Province, the more than 1800-year-old Luodai Town (洛带古镇) has been carefully rebuilt and is full of the charm of ancient culture, showcased in the enticing Hakka museums, century-old Hakka dwellings, and beautiful old streets. 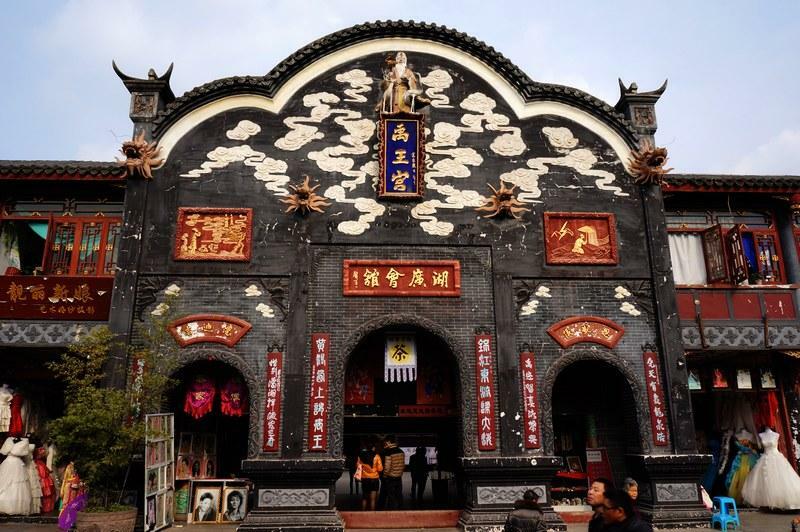 Said to be initially founded by Emperor Liuchan during the Three Kingdoms Period (220-280), Luodai has been a settlement for Hakka people from all over the country (mostly from Guangdong and Fujian provinces). 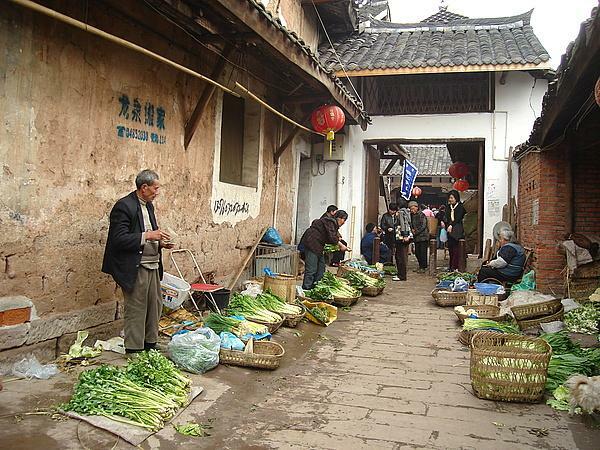 Today, nearly 90% of the residents totaled 20,000 are Hakka, who still follow their ancient practices and traditions, and preserve the Hakka culture. 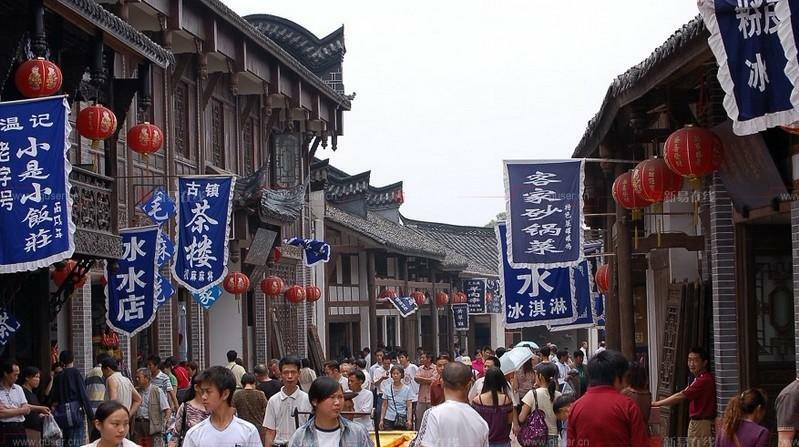 Thus it is famed as ‘the no.1 Hakka town in West China’. 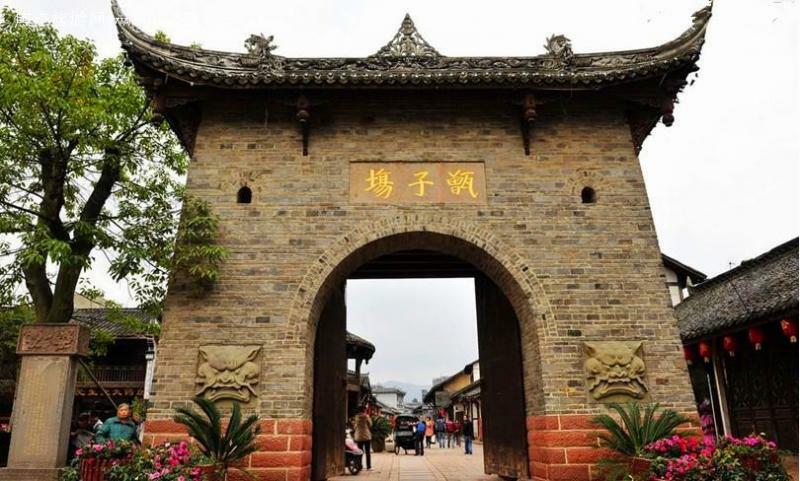 With a long history and well-kept ancient Hakka culture, Luodai Town has a lot to offer – stroll on the old streets and alleys of Ming and Qing style to admire at the old Hakka courtyards and theaters with delicate and vivid carvings of images of dragons, phoenix, flowers and birds. 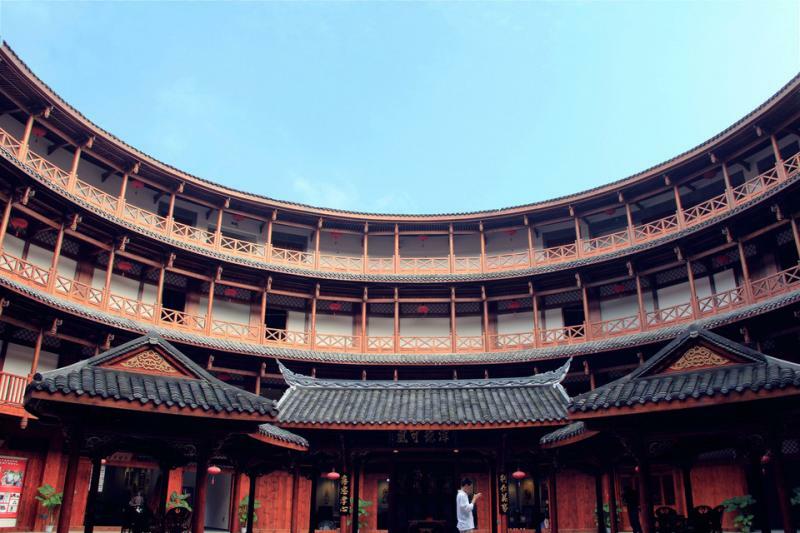 There are four guide halls named Guangdong Guidehall, Jiangxi Guidehall, Huguang Guidehall and Chuanbei Guidehall, a Hakka Museum and a park, which constitute a masterpiece of ancient Chinese architecture. 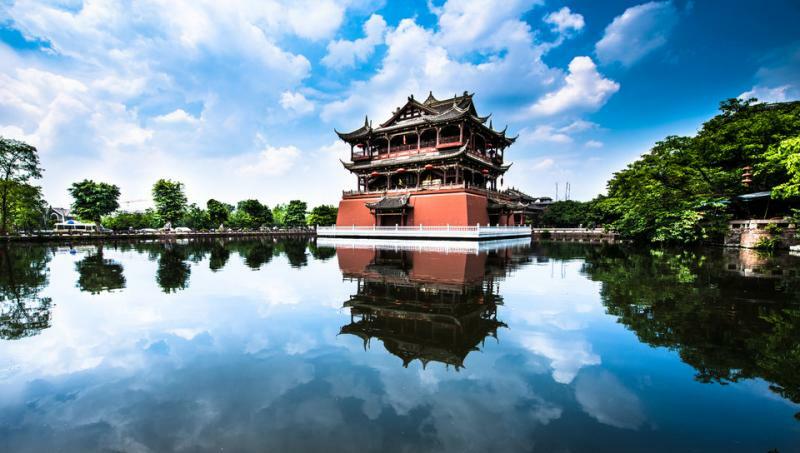 The nearby attractions include Yudai Lake, Jinlong Temple and Jinlong Great Wall that is the biggest imitation Great Wall in China. With an annual average temperature at 16 -17℃, without cold winter or hot summer, Luodai is nice for traveling all year round. 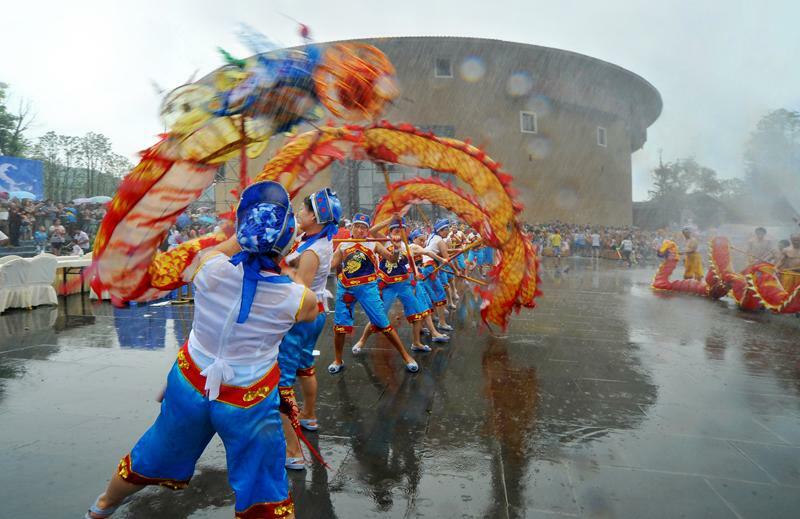 However, spring till summer is considered the best time to visit, when you can expect the fruit harvest, peach blossoms festival, and the magnificent Fire Dragon Festival and Water Dragon Festival. 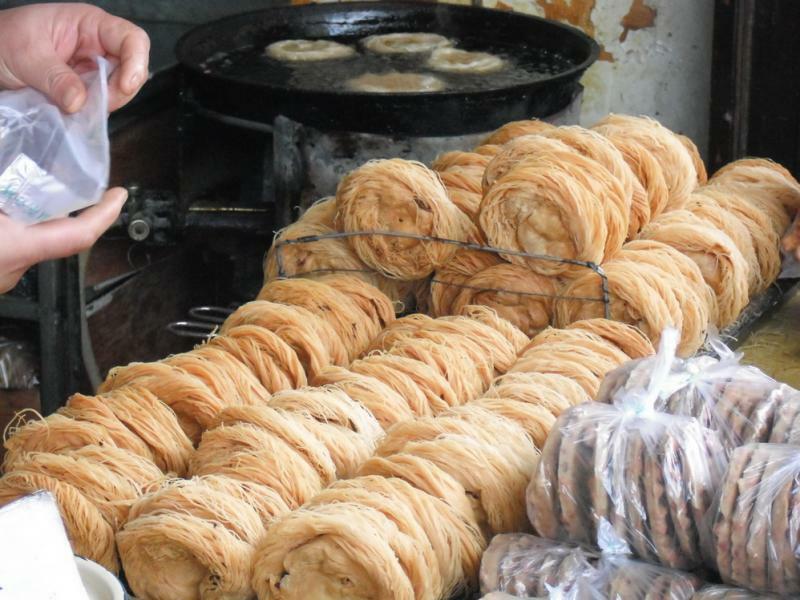 The local food is of typical Hakka style, featuring spicy and crispy flavor, with famous snacks and dishes such as sad bean jelly, ‘swan eggs’, Hakka stuffed tofu etc.